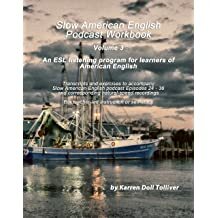 Before we begin, did you know that you can buy Slow American English workbooks? Each workbook contains the Exercise Worksheets, answer keys, Bonus Material and transcripts from each podcast episode. There are three workbooks so far. Each contains a year’s worth of podcast episodes. Volume 1 has episodes 1 – 12, Volume 2, episodes 13 – 24, and Volume 3, episodes 25 – 36. You can buy all the workbooks on Amazon. The link is on the podcast website at www.slowamericanenglish.net. And very soon there will be a new workbook, Volume 4, with episodes 37 – 48. I will announce it when it is published. Also, I want to thank my Patreon patrons for pledging a small amount every month to keep the podcast going. Your contributions help pay for web hosting and other expenses. Without you, I could not produce this podcast every month. Thank you! If YOU think this podcast is helpful, please visit www.Patreon.com/SlowAmericanEnglish and become a patron. It’s very inexpensive and helps everyone around the world who listens to this podcast. 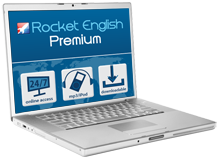 In addition, you can become a website subscriber for free at www.SlowAmericanEnglish.net. Find free transcripts there PLUS links to become a patron and to buy the workbooks. George Washington was born in Virginia in 1732. His family had a successful plantation, which he later owned. During the Revolutionary War for independence against Great Britain, Washington was commander of the American army. He became a national hero because of this. He was one of America’s Founding Fathers. They wrote the Constitution of the United States. He was the first to sign it, too. The electoral college elected George Washington as the first president in 1789 and again in 1792. He is the only president to be elected unanimously. For this and many other reasons, Washington is called the Father of Our Country. He decided not to be president for a third term, although everyone wanted him to. This tradition was followed by all other presidents for 150 years. In 1947, this two-term limit was made into law. Washington knew that everyone was watching everything he did as the first US president. He knew his actions would be examples for all other presidents to follow. Therefore, he was very careful to be a very strong leader. For example, he organized the president’s Cabinet well. He also allowed the other branches of government to balance the power of the president. There is a story about George Washington which is probably not true. It says that, when he was a child, George Washington chopped down his father’s cherry tree. It was a terrible thing to do. When his father asked who did it, George replied, “I cannot tell a lie. I chopped down the cherry tree.” This legend shows how honest he was. Another story says that, as a boy, George Washington threw a silver dollar across the Potomac River in Maryland. This can’t be true. There were no silver dollars then and the river was too wide. A true fact about George Washington: He had false teeth made of wood! George Washington’s wife’s name was Martha. Washington’s plantation and home was Mount Vernon, VA. You can visit it today. When he led the army during the Revolution, Washington and his soldiers crossed the Delaware River on Christmas night, 1776. They went into New Jersey for a surprise attack on the enemy. There is a famous painting by George Cableb Bingham called Washington Crossing the Delaware. Also during the Revolutionary War, Washington and his soldiers camped in Valley Forge, PA. It was the hard winter of 1777-78. They survived and trained there to become a strong army. They were able to defeat the British soldiers in the spring. Today, George Washington’s face is on the US dollar bill and the quarter coin. In addition, many parks, streets, schools and even people have been named after him. The state of Washington and Washington, DC, are also named after him. In addition, the very tall Washington Monument stands in front of the nation’s capitol building in Washington, DC. That’s the podcast for this time. 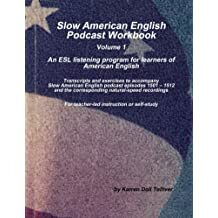 Slow American English is written and produced by Karren Tolliver. Copyright 2019. All rights reserved. 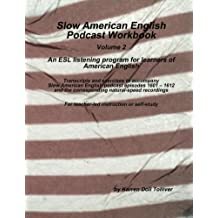 For free transcripts and to subscribe to the podcast, visit www.SlowAmericanEnglish.net. You can also subscribe via Apple Podcasts, Google Play Music, TuneIn, Stitcher and any other podcast feed reader.